The Preservation Board last night approved demolition of the entire complex of buildings bound by Victor, Dekalb, Sidney & 2nd Streets. According to a Preservation Board member, it was "keep all the buildings or demolish them all". This does not make sense considering the Cultural Resources Office specific recommendation to preserve the one building, 150 Victor pictured above. 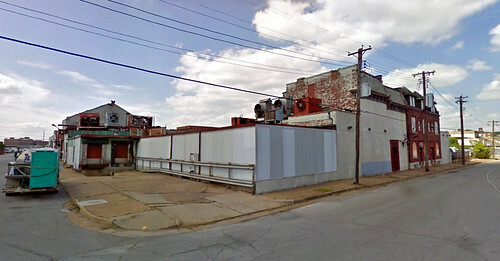 A plain metal warehouse will replace the existing complex once the buildings are demolished. The drawings above appeared in the Preservation Board agenda. 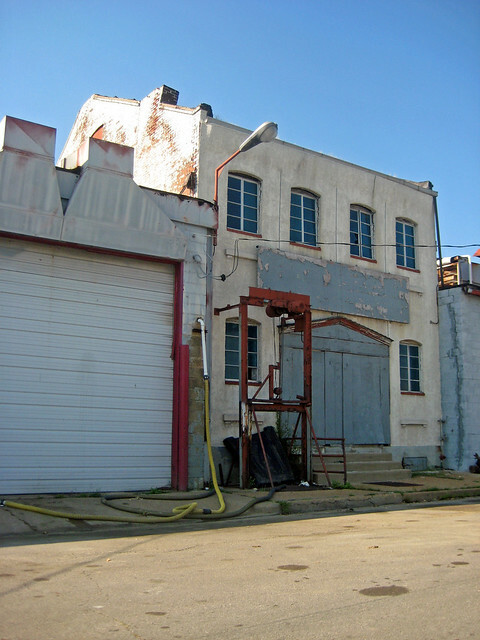 Note the location of windows and doors on the north elevation facing Victor and the west elevation facing the storage yard. These would indicate that offices of the new complex will be in this location, which happens to be almost the exact same location as the group of three brick townhouses that the Cultural Resources Office recommended preserving. The townhouses appear to be used as offices currently since the windows are not covered. On Monday the Preservation Board will consider the proposed demolition of a grouping of buildings occupying two thirds of a full block of Kosciusko bound by Victor, Dekalb, Sidney & 2nd Streets. 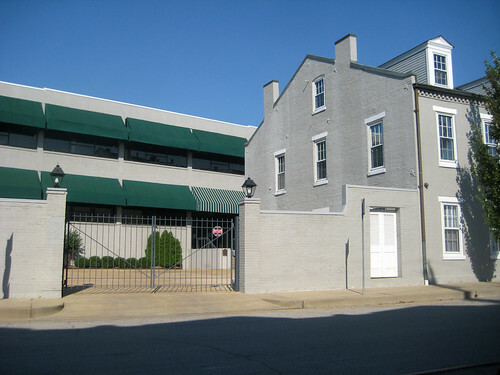 Much of the complex, which is located in a Preservation Review Area, consists of non-historic one story metal and concrete block buildings, but at least three buildings date from the late 1800's. 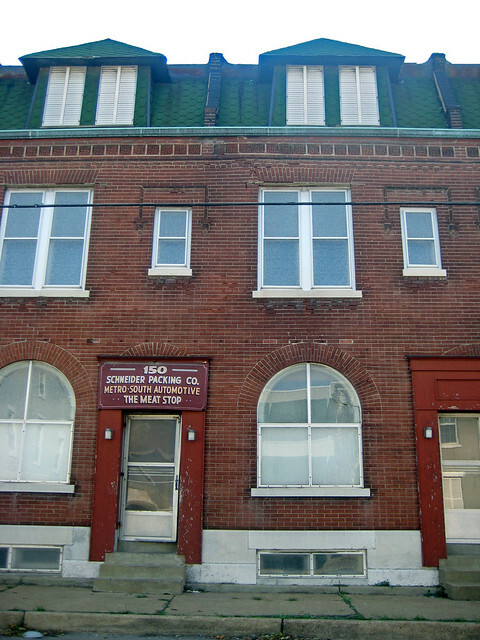 The Cultural Resources Office has rightly recommended preservation of 150 Victor Street (photo from the Preservation Board agenda above), which of the older buildings is the least altered and in very good condition. A view of the complex at Victor & Dekalb, with 150 Victor is at the right. 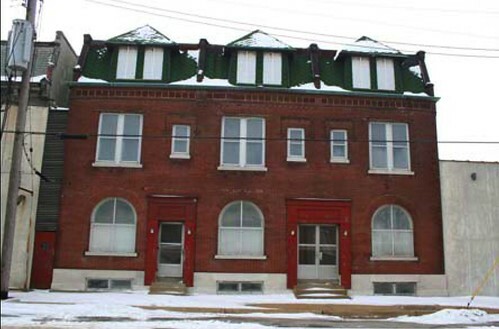 Next left is another pair of mansard roofed townhouses covered with stucco. looking south on Dekalb you can see the roof line of the third older building. 150 Victor began as three townhouses, but later were converted for commercial use. 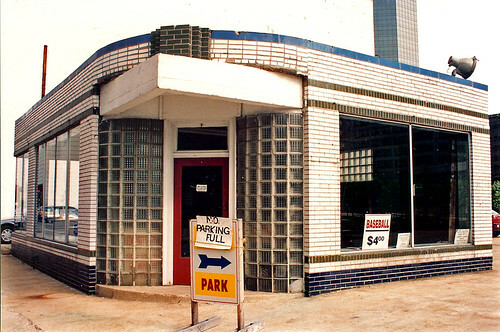 At the time the hand painted sign was installed it housed a the offices of a meat packer and later an automotive company was added to the mix. Today the entire complex is owned by R & R Contracting Services, a company that supplies porta-potties. 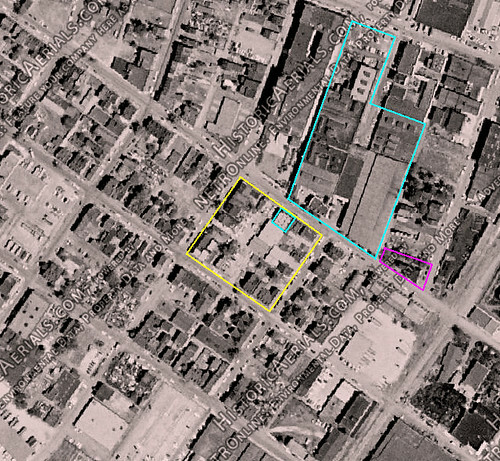 The site of the proposed demolitions, outlined in yellow above, is just a block west of the site of a demolition that occurred last year. 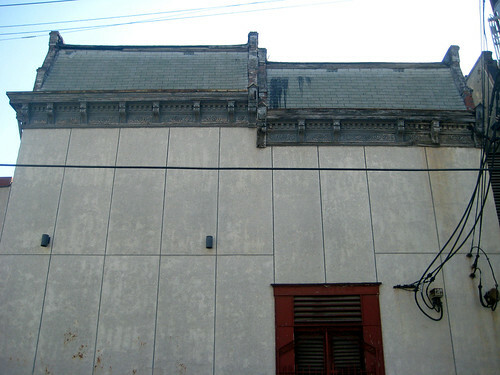 107 Victor, a three story corner building at the intersection of Victor & Kosciusko had been placed on the preliminary Preservation Board agenda for September 2009, but was mysteriously pulled before the meeting. Demolition of the building without further oversight followed in April 2010. Like many neighborhoods near the Mississippi River, Kosciusko had long been composed of a mixture of manufacturing and residential buildings. Directly across from 150 Victor, is the Hager Companies, which was founded in the same location in 1849. Hager, which started as a maker of hinges, is now a large manufacturer/supplier of quality commercial architectural hardware for construction projects around the world. This was Kosciusko in 1958, as it had been since its beginning, a dense mixed use community. This would not last much longer though, as planning for its destruction had begun the previous year. The area had been considered blighted and the solution was to rid the area of residential uses. 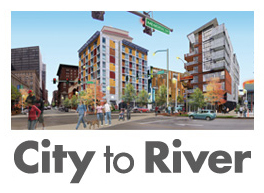 According to a history of urban renewal in St. Louis (p. 26), acquisition and mass demolition began in 1960. 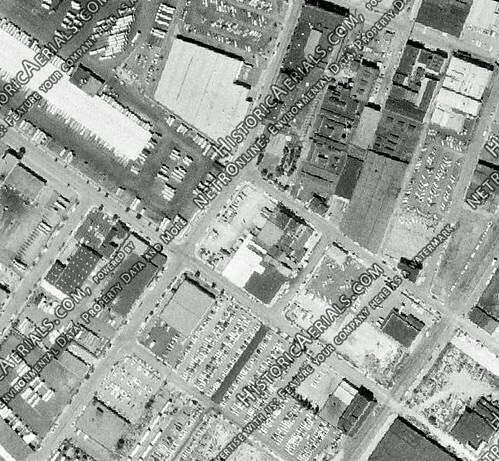 By 1971, Kosciusko was almost unrecognizable and had mostly been replaced with large single story trucking warehouses and surface parking lots. 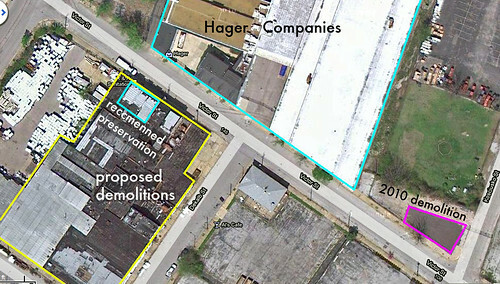 The Hager Companies, 107 Victor, the buildings currently under consideration, and a few other scattered buildings were the only evidence that remained of the neighborhoods previous life. The townhouses just east of 150 Victor. Although covered, the alterations here are only skin deep. When an entire facade is covered in this manner, the stucco is typically applied over another substrate, such as metal mesh which would have been attached to the facade. Removal would likely be an easy task. The original cornices are remarkably in good condition except for needing some paint. Alterations to the building on Dekalb are more intensive with partially blocked windows, stucco likely direct-applied to the masonry, but while altered, it still retains quite a bit of character. The small pediment over the boarded double door, while not original, is at least somewhat interesting. The Hager Companies complex is perhaps one of the finest examples I have seen where a large scale manufacturer has preserved and incorporated its history into its current operations. The original unassuming townhouses on Victor Street house the private offices of the fifth and sixth generation family owners of the company. While working on the now defunct Arcade Building renovation, myself and several Pyramid Architects co-workers who were working on the project with me were treated to a full tour of Hager's St. Louis headquarters. Included was a wonderful home-cooked lunch in their beautiful conference room in one of the old townhouses which is furnished with fine family heirloom antiques complete with a stuffed pheasant on the wall. 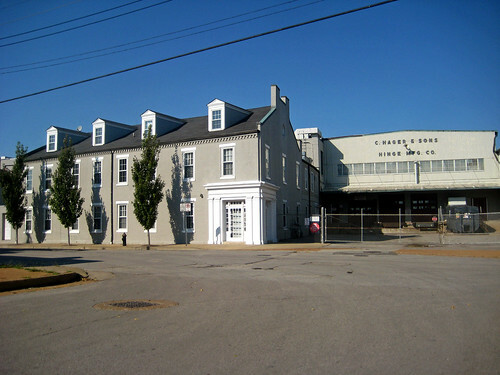 Behind the townhouses, one of the former early 20th century factory buildings has been converted to house the main offices of Hager Companies. Most manufacturing is now done at their Montgomery Alabama facility as opposed to over-seas. 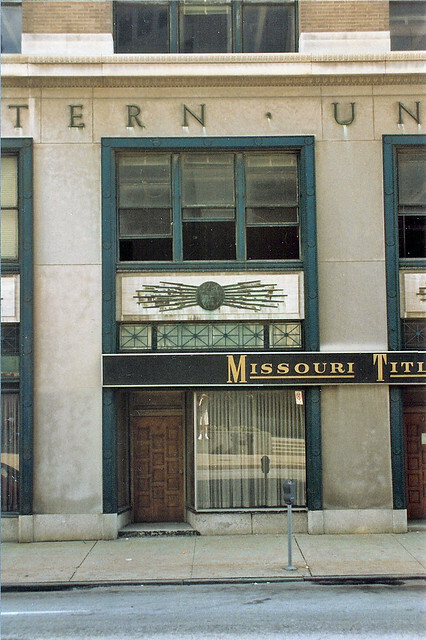 St. Louis' Western Union Building was located at the southwest corner of 9th and Chestnut Streets. It was designed by architect Welles Bosworth and constructed in 1926. 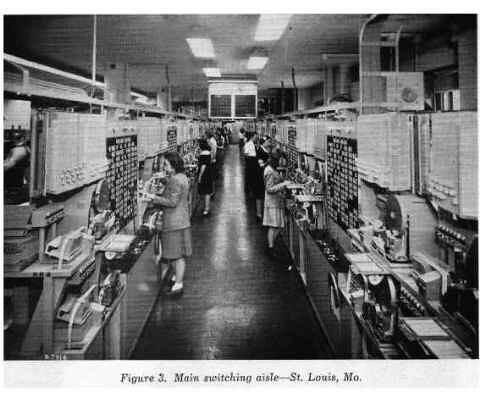 According to the website westernunionalumni.com (source of the photo above) the St. Louis office was one of 15 regional switching stations spread throughout the country forming a "hub and spoke" network through which millions of telegrams were sent, received and transfered each year. 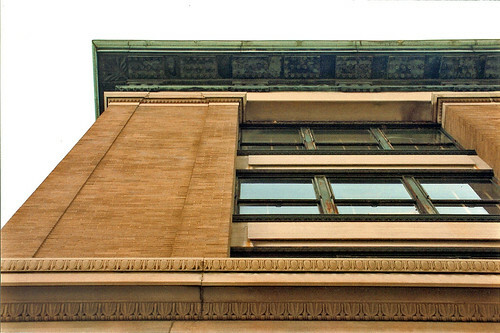 The Western Union was crowned with a monumental copper cornice, which unlike so many stone and terra cotta cornices that were long ago removed, survived in nearly perfect condition until the building's demolition. Like many buildings constructed by growing companies in the roaring 20's, especially those in telecommunications, the Western Union building was designed for expansion. Its five stories could have received an addition carrying the building up to a total of twelve floors, but never occurred. The Western Union Building's location along the central spine of St. Louis, what would ultimately become the Gateway Mall, could be said to have doomed it before it was ever built. The Mall began as part of the Comprehensive Plan of 1907 and was first enacted with the clearance of blocks between Tucker and 15th Street approve by voters in 1923 as part of the $87 million bond issue. Construction included Memorial Plaza, the T-shaped seven block park, surrounded by several public buildings including the Civil Courts and the Kiel Opera House & Auditorium. It was not until after Word War II though that expansion of the Mall eastward toward the then only planned Jefferson National Expansion Memorial begin to occur starting with Kiener Plaza in 1965. 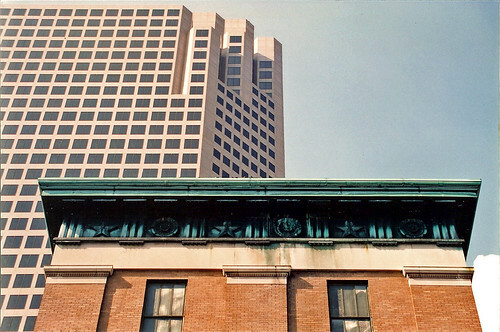 The Western Union Building even survived the ill-conceived and ill-fated Pride Plan which was also known as the "half mall" of the 1980's which brought the destruction of Real Estate Row and the construction of the Gateway One building. 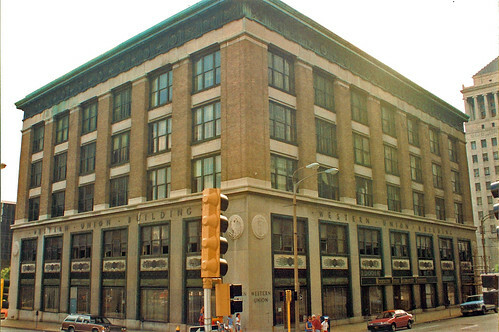 Mayor Schoemehl vowed to complete the Mall before he left office and in 1993, the Western Union became the last building to fall. The idea of the Gateway Mall is not awful. One of the major problems with the Mall however is the faceless buildings fronting it from the Civil Courts to 4th Street, which with the exceptions of the Wainwright Building (which is blocked by Gateway One) and 1010 Pine (which never received it's intended expansion to fill the south third of the block) were all built between 1960 and 1986. Compare the scale of any portion of those buildings with the photo above. Just west of the Western Union at 10th and Chestnut, this little art deco building anchored the corner of a surface parking lot. The building and lot were demolished at the same time as the Western Union. 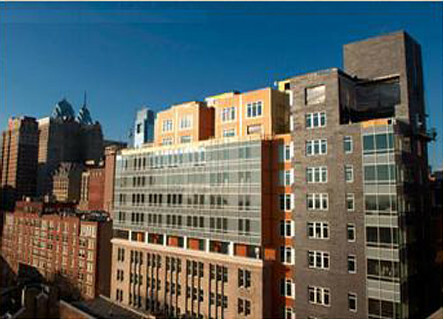 The blocks between 8th and 10th Street remained bare open space until construction began on City Garden in 2009. 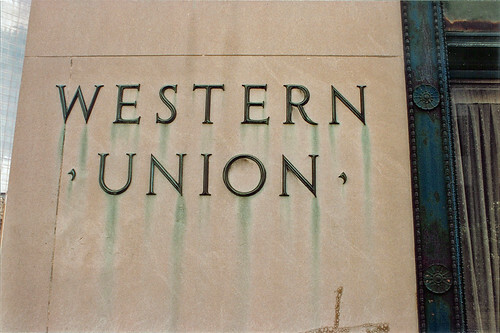 Philadelphia's Western Union Building was also built for an expansion, and recently got it. But instead of obsolete telegram switchgear, this expansion and the original building now house modern condominiums. I love City Garden and think it is a great addition to St. Louis, but if the half-mall plan had been carried forward, it would have been great to have something like this. 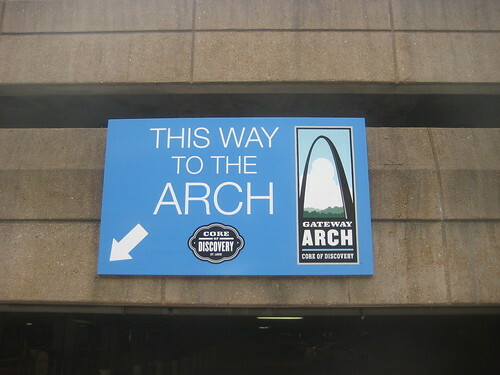 The design competition for improving the Arch grounds drew vastly different philosophies for connecting the park with the city along its north edge where the large parking structure has long been a barrier. 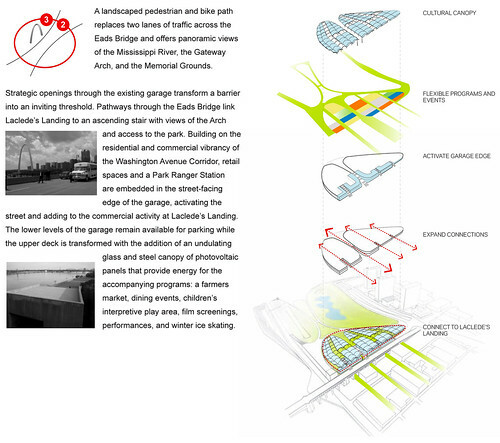 The winning entry from MVVA proposes not just replacing the area of the garage, but complete removal of all existing infrastructure including Washington Avenue in order to push the park to the south face of the Eads Bridge. As mentioned in my first post on this topic I feel that removal of the historic Washington Avenue connection from Memorial Drive to the riverfront will be extremely detrimental to Laclede's Landing. 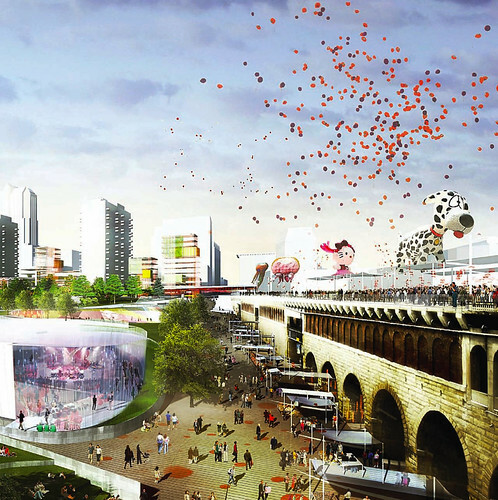 The Vision section of the Competition Manual stated: "This competition is about connections and weaving an urban park into the city fabric of St. Louis". Instead of truly integrating the park with the surrounding city grid, the MVVA plan eliminates part of the grid so that the Eads Bridge itself becomes a literal fortress like barrier between the park and the city. 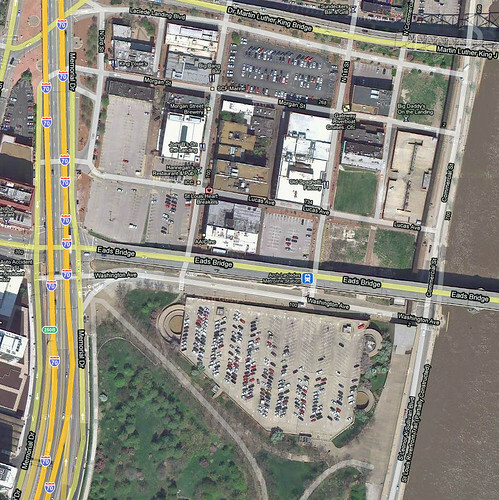 Instead of Washington Avenue continuing to connect the park to the grid of the city in three directions, it's elimination would leave two dead end streets truncated north of the bridge as the only connection between park and city. 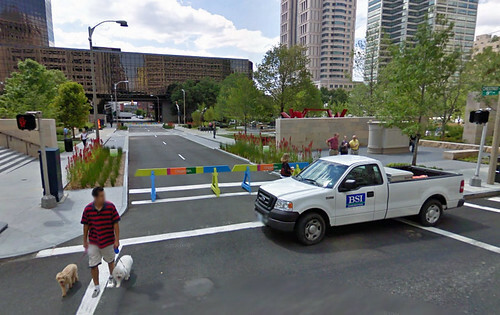 A third auto only right of way would serve as the entrance to a replacement underground garage on the Arch ground. An alternative design philosophy was proposed by the Weiss Manfredi team. Instead of simply trying to push the boundaries of the park outward, Weiss Manfredi would have improved connections between the Arch grounds and the surrounding city by extending the city's grid into the park. Weiss Manfredi's proposal would have activated the Washington Avenue edge of the park by placing retail and a park ranger station into the existing parking structure as well as providing connection through by carving grand stairs through on axis with First & Second Streets as well as two north-sough pedestrian alleys in Laclede's Landing. 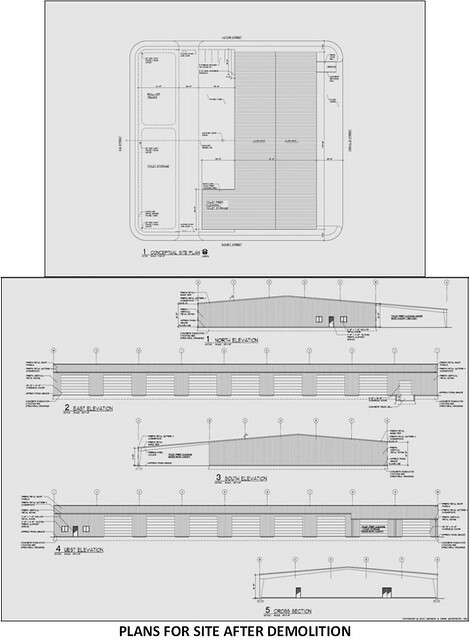 A section through the Weiss Manfredi proposal shows how the grand stairs would have cut through the existing parking structure. The parking garage was completed in 1986, so with proper maintenance it should have several decades of useful life left. Rendering of the non-winning Wiess Manfredi proposal along Washington. The Behnisch Team also proposed retaining Washington Avenue. Their proposal replaced the garage with a music themed museum. 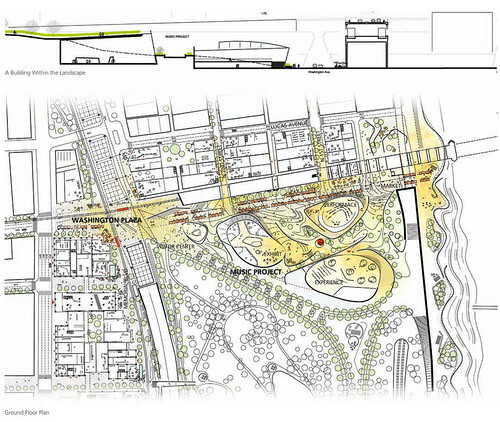 Between portions of the museum would be wide meandering spaces connecting Washington Avenue with the interior of the park. 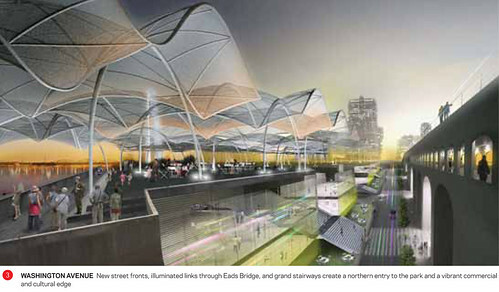 This rendering of the Behnisch Team competition entry shows the Washington Avenue corridor activated by people instead of cars. It is unclear from their narrative whether the lack of auto traffic would have been full-time or only at off-peak times. A reader comment from my second post on this topic questioned the need to drive to the riverfront. This is a valid question and I agree that driving to the riverfront is not always necessary or desirable however the ability to provide vehicular connection to Laclede's Landing at peak times such as weekend nights should not be forgotten. The closure of 9th Street at City Garden between Market and Chestnut during non-rush hour periods seems to be a good compromise between the need to keep the street grid open for traffic and the desire to expand pedestrian realms. This type of treatment could easily by used for improved and narrowed Washington Avenue along the north edge of the park. Of course our street grid is also essential for bikers to get around. If Washington Avenue is removed entirely East of Memorial Drive as currently planned by MVVA, bikers will be hard pressed to find a good route to the riverfront. While driving along the riverfront is not terribly exciting, biking there is a pleasant experience. 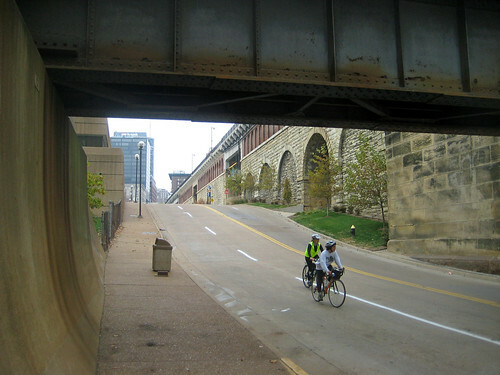 Washington Avenue is the only decent route to the riverfront between the PSB and the MLK Bridges. The cobblestoned streets of Laclede's Landing are certainly not a good alternative.